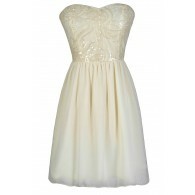 This pretty dress is amped up with the crochet applique detail at the shoulder. The Crochet Applique Shoulder Dress is fully lined below the waist. It is made of a fluid fabric. It has a crossover surplice neckline with a snap closure at the top. The elasticized waist gives way to the attached skirt with a flowy cut. The best part of this dress has to be the beige crochet lace applique at each shoulder, adding contrast to this flirty look. 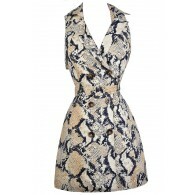 We love how this dress can be worn casually or dressed up, depending on how you accessorize. 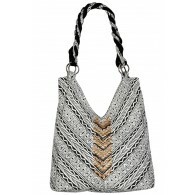 Pair it with flat sandals and an oversized bag for a casual day look. 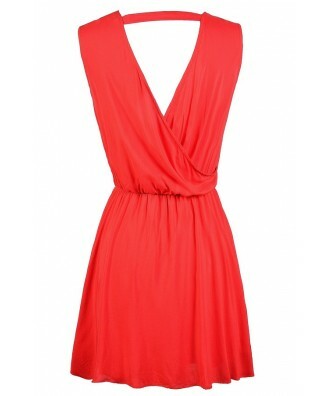 Or wear it with beige pumps or wedges for a dressier event. This is a cute option to pack on vacation because you can wear it several different ways. Details: Lined below waist. 100% rayon. Contrast: 100% cotton. Lining: 100% polyester. Dry clean only. Small measurements: Length from top of shoulder to hemline: 33". Bust: 34". 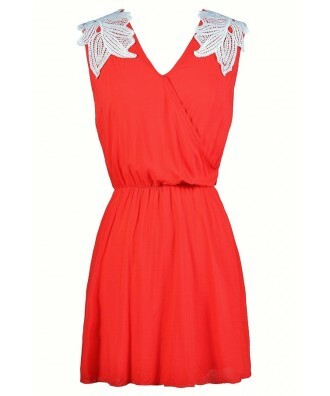 You have added Crochet Applique Shoulder Dress in Tomato into Wishlist. 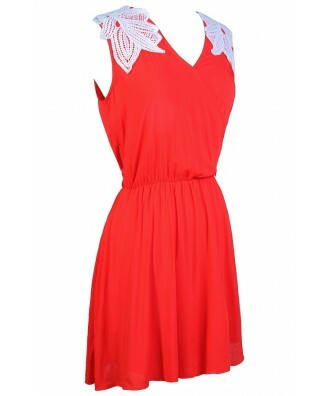 You have added Crochet Applique Shoulder Dress in Tomato for Stock Notification. 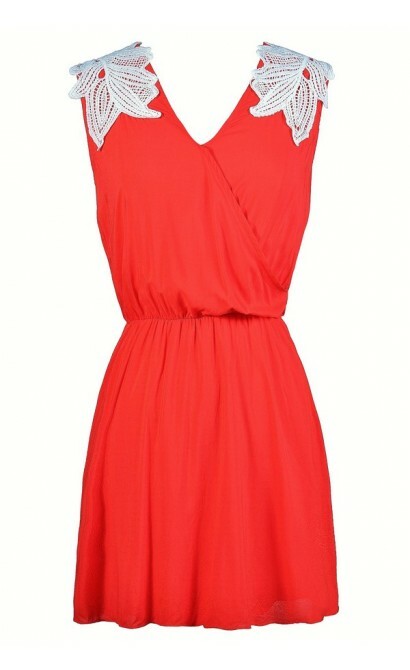 You have set Crochet Applique Shoulder Dress in Tomato as a loved product. You have removed Crochet Applique Shoulder Dress in Tomato as a loved product.